She may be more widely known for her affinity for fashion (she does helm a fashion label, after all), but it's no secret that the matriarch of the Beckham family is also a bonafide beauty enthusiast. Not only did she launch a capsule collection with Estée Lauder way back when, but she regularly posts updates on her own skincare routine on Instagram (if you don't follow her, do so immediately). Today she posted a brand new beauty update, giving her cool 24.2 million followers a look at the latest products she's incorporating into her at-home skincare routine. They all belong to the same vegan, cruelty-free, and non-toxic brand. Keep scrolling to see which one it is. The brand is none other than OSEA Malibu, a line of non-toxic, vegan, and cruelty-free skincare staples which is headquartered in Malibu, California (as the name implies). The brand is known for formulating all of its products with seaweed, which is harvested on the shores of Patagonia—you know, the area of land located all the way down on the southern tip of South America? Seaweed and/or algae is a buzzy skincare ingredient throughout the beauty industry thanks to its vitamin, mineral, amino acid, antioxidant and essential fatty acid content. According to the brand, this translates to better skin in that it diminishes signs of aging, blemishes, and redness, along with boosting hydration, firmness, and radiance. It sounds a little bit like a miracle ingredient, no? According to Beckham, it works. That is, if her past recommendations are any indication. Recently, Beckham posted a photo of the brand's body oil to Instagram, captioning it, "Love this body oil! I use it straight out of the shower when my skin is still a little wet!" Today, she followed that up with another OSEA Malibu shoutout, which was posted to her Instagram Story. This time, it wasn't a single product. Instead, she panned down a long line of products, captioning the video, "Bioavailable formulas rich in earth and ocean essences," followed by, "Will let you know." If you're like us, then right now you're clamoring to know exactly which OSEA Malibu products VB is testing. Hint: she's testing out everything from a face mist to a moisturizer. The full list is below. This is the facial equivalent of the previous body oil. 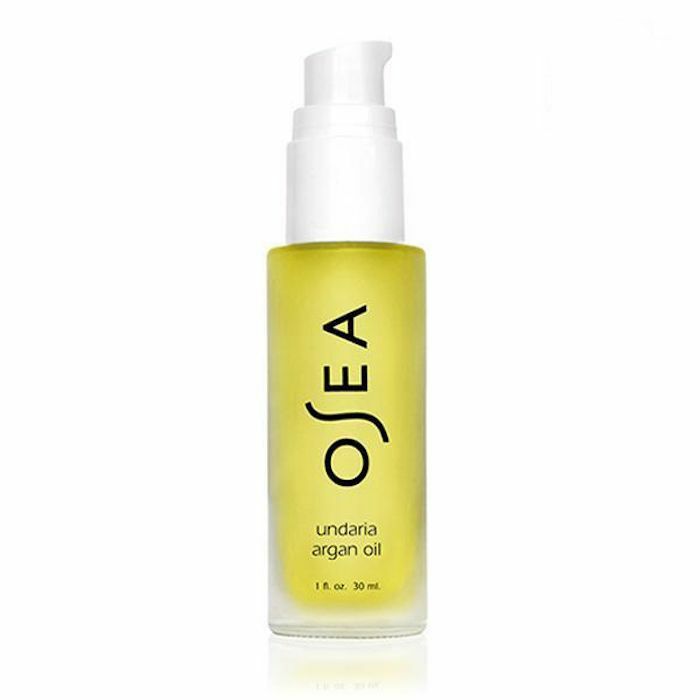 It contains the same seaweed extract, along with organic argan oil to moisturize, plump, and brighten the complexion. We predict VB will be a massive fan of this one, if she's already a massive fan of the body oil alternative. This hydrating facial mist is packed full of seaweed, Dead Sea salt, and aloe, all of which provide minerals and moisture to the skin to balance, plump, and revitalize the complexion. 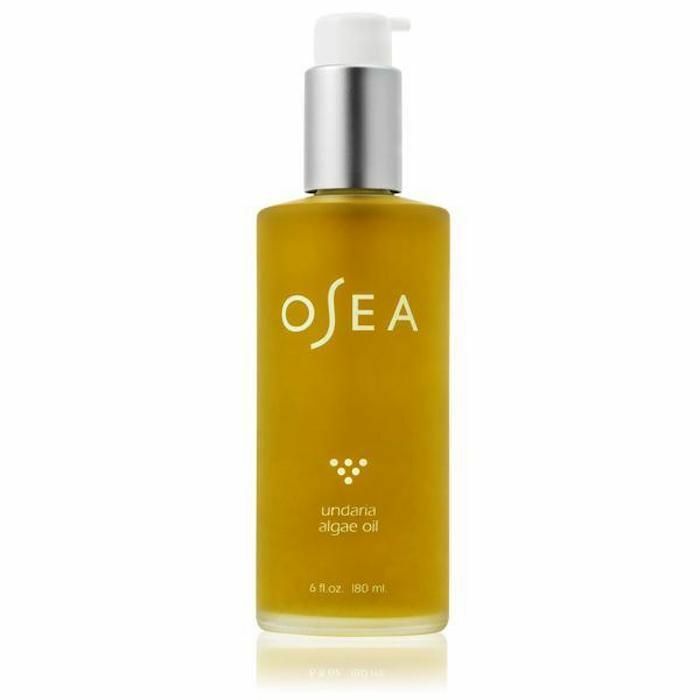 This is a brand-new product from OSEA Malibu. 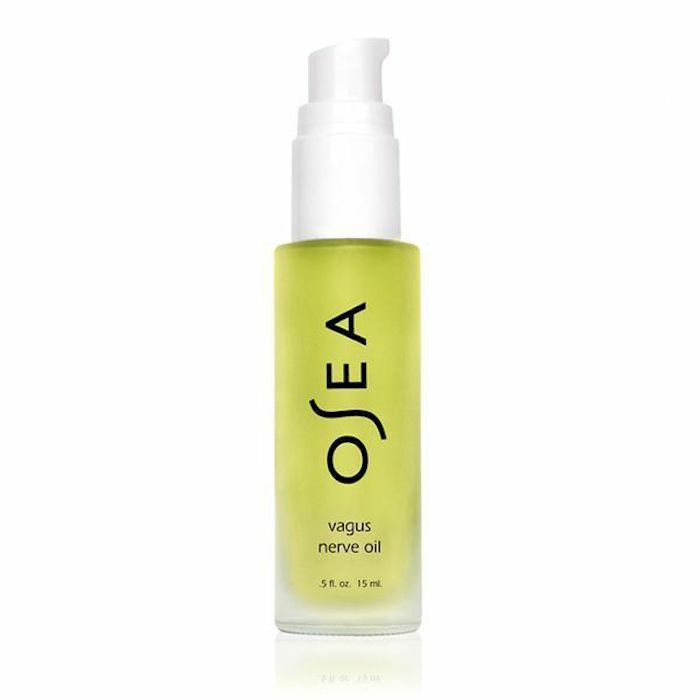 It's an essential oil blend, which is formulated to affect the vagus nerve (according to the brand, this is a cranial nerve that regulates things like stress and digestion). The oil blend relaxes the nerve to promote calm, relaxation, and well-being. Even though the video is slightly grainy (and two of the products are obstructed), we're fairly confident that one of them is the Ocean Cleansing Milk. It's an ultra-hydrating, ultra-soothing cleanser formulated with algae, water lily, rose, and Cassie flowers, all of which hydrate and smooth the skin's texture. We also like the fact that it's fragrance-free. The last product is also slightly obstructed, but we know it's housed in a glass bottle complete with a pump and a pretty sea green tint. 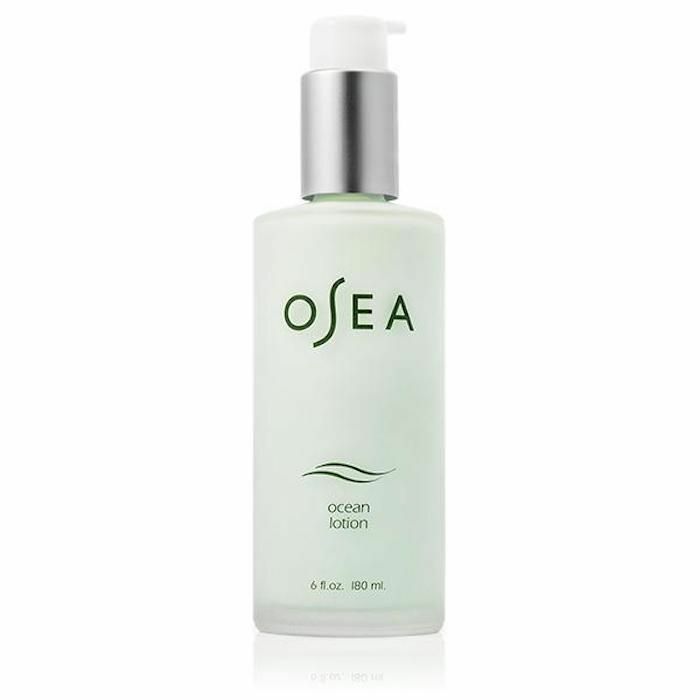 We think it's the brand's Ocean Lotion, which contains seaweed (of course), along with rosehip, kukui, and avocado oils and pure shea butter. It's meant to hydrate, soften, soothe, and protect against the damaging effects of environmental stressors, which is why we think this would make for an apt addition to an anti-pollution skincare routine. For more celebrity skincare inspiration, check out the one brand that's beloved by stars like Tracee Ellis Ross, Mandy Moore, and Zoe Kravitz.